Love it or hate it, the sticker does raise an interesting question about camping equipment, namely: how do you define necessity over luxury? Obviously, that question will depend on the individual, but generally speaking, most of us appreciate that space is an unavoidable factor. Following that, most campers tend to seek products that are durable, affordable, versatile, and easy to move around (mobile). 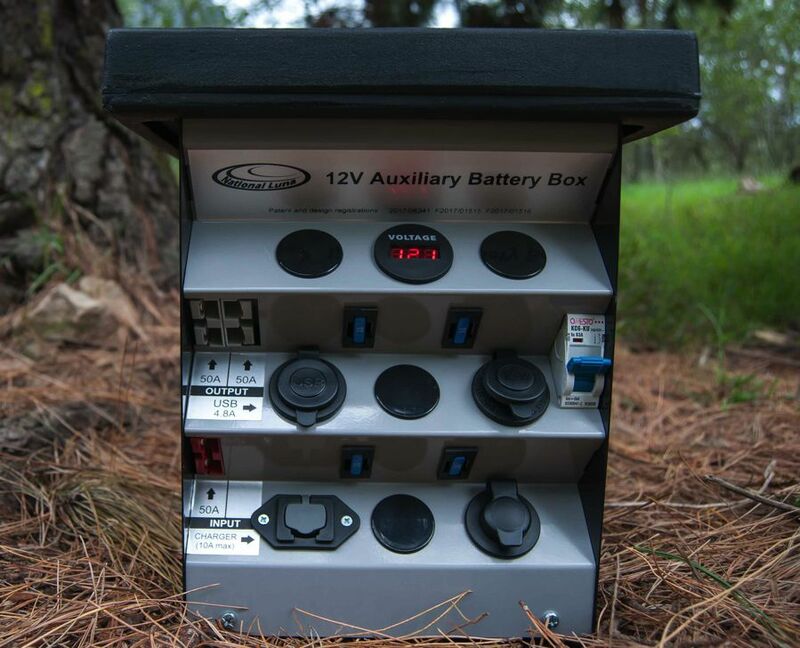 Interestingly, the abovementioned checklist is precisely what we had in mind when we developed our brand new Auxiliary Battery Box. But we can’t take all the credit; you played a crucial role, too. 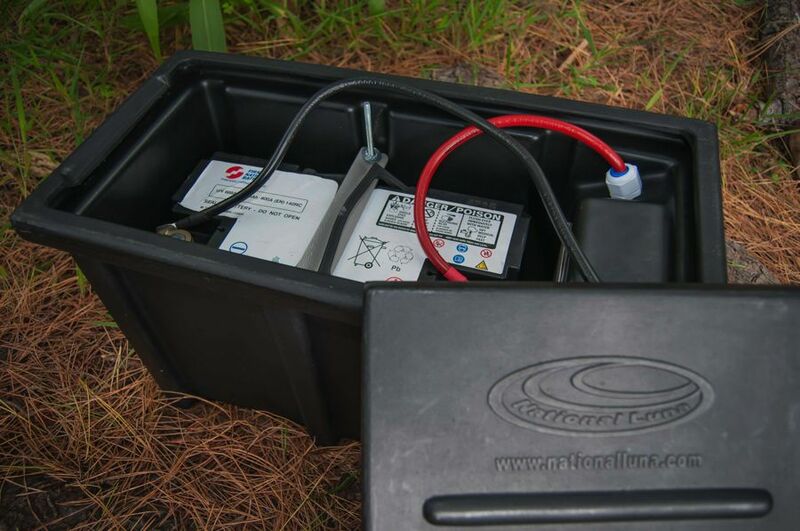 For more than 15 years, thousands of campers worldwide have put our Portable Power Packs to good use. 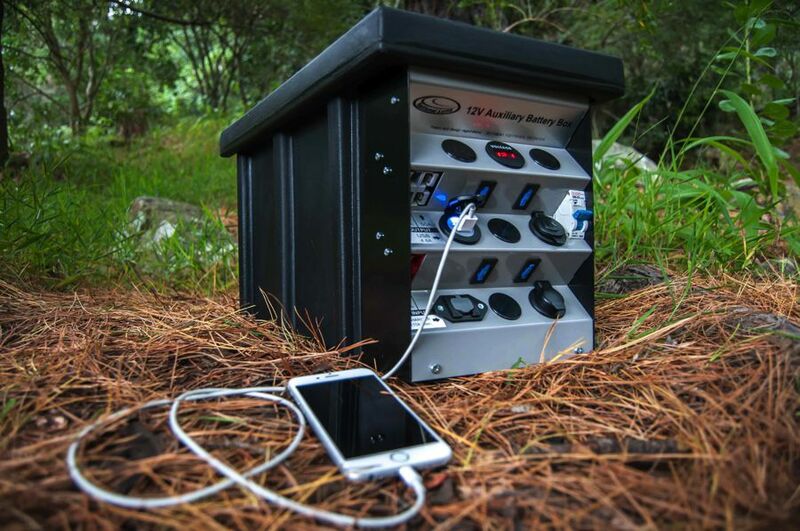 This hardy product not only offers mobile power around your campsite (and home if necessary), it also serves as a dual-battery system for your vehicle, caravan, or boat. 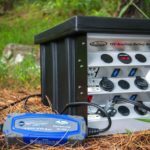 The primary benefit of the Portable Power Pack is that it’s a complete, standalone unit that removes the need to install a permanent (onboard) dual-battery system. However, it does have its limitations. 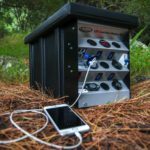 In terms of new products, we’ve received countless requests for a no-nonsense, durable, and highly adaptable battery box. 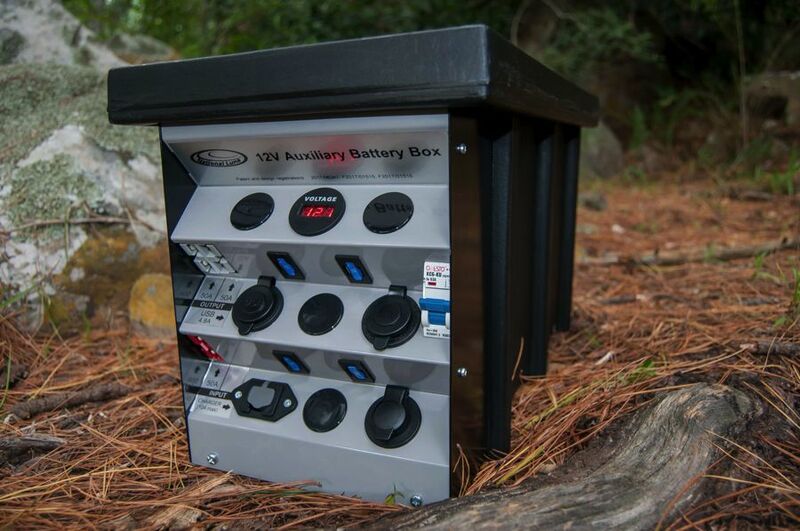 In short, people wanted an affordable battery box that they could customize themselves. The problem with developing such a product, was finding the best possible way to keep the box affordable, while offering plenty of benefits and options for all types of campers. 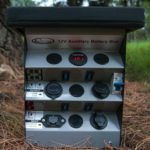 After all, we couldn’t just sell folks an empty plastic box, it had to incorporate a user friendly control panel that would allow campers to customize their own power outlets. 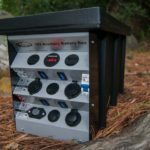 Although the standard Auxiliary Battery Box features a built-in voltage meter, two USB ports, two DC sockets (Hella and Cigar), and two 50A grey-coupler plugs, it also boasts four spare (pre-wired) output ports that allow you to choose what plug connections are most important to you. 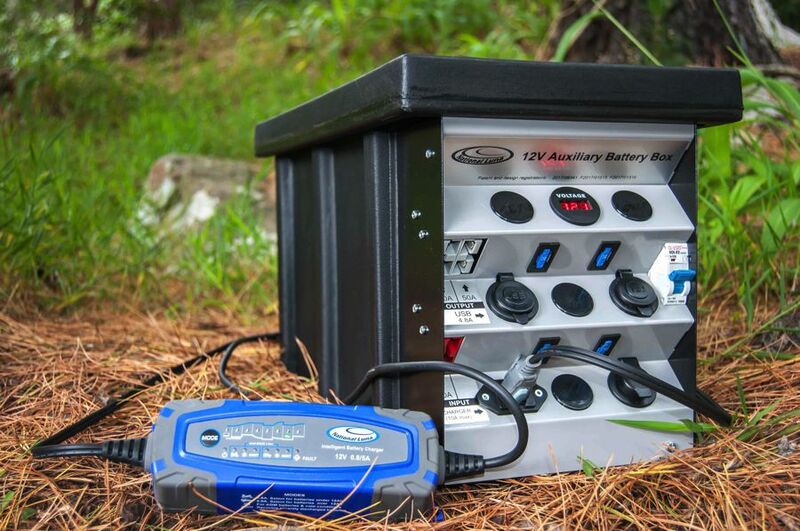 In addition, the battery box features an NL5 intelligent charger port that let’s you quickly and effortlessly connect a National Luna Intelligent Charger to the Auxiliary Battery Box. 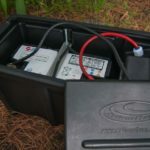 This way, you can choose to either rapid charge the battery, opt for a slow “trickle” charge, or just leave it alone on a maintenance setting for an indefinite period.